One sure-fire way to make me smile is by introducing me to any young person who is passionate about something. It matters little to me exactly what the subject of their fascination is, but that they are enthusiastic and eager to share what they know. Young people energize elders who have expertise but have become lethargic and cynical of the future in their fields of authority. Meanwhile, children learn even more from those willing to mentor them. 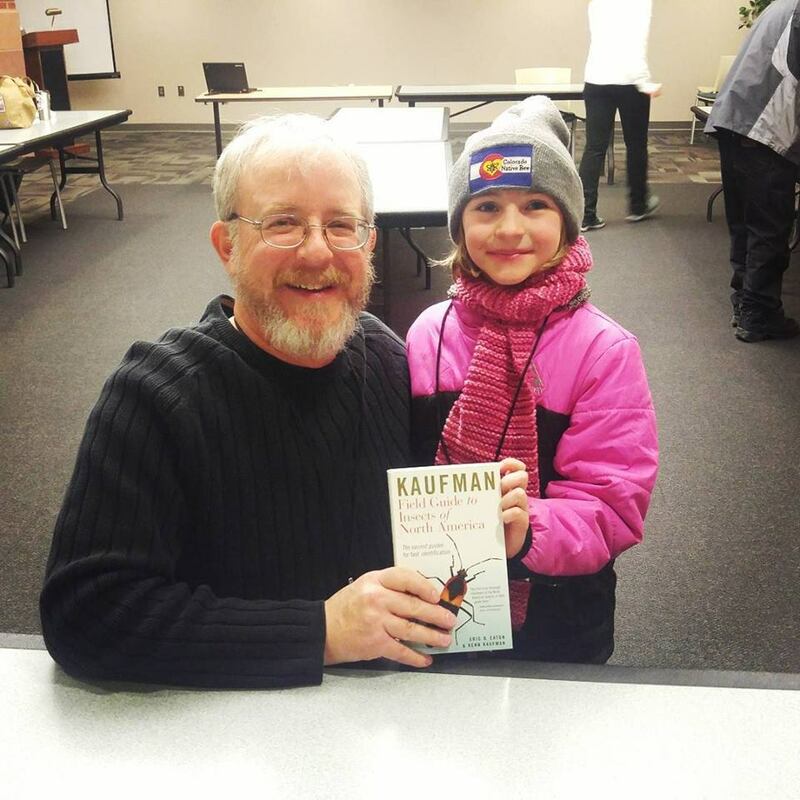 Earlier this month I had the occasion to meet Miss Abigail Nilson-Bartlett, brought to a membership meeting of the Mile High Bug Club by her dad, Ryan, on February 12. They travelled to and from a Denver suburb to our Colorado Springs meeting location. I am not sure who was happier they did: Me or them. 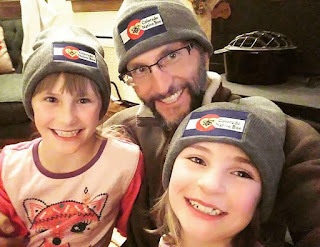 Abigail, at seven years old, firmly asserts that "I am an arachnologist," and I believe her. She can pronounce the word, and then back it up with information that is not widespread knowledge for anyone outside of arachnology. 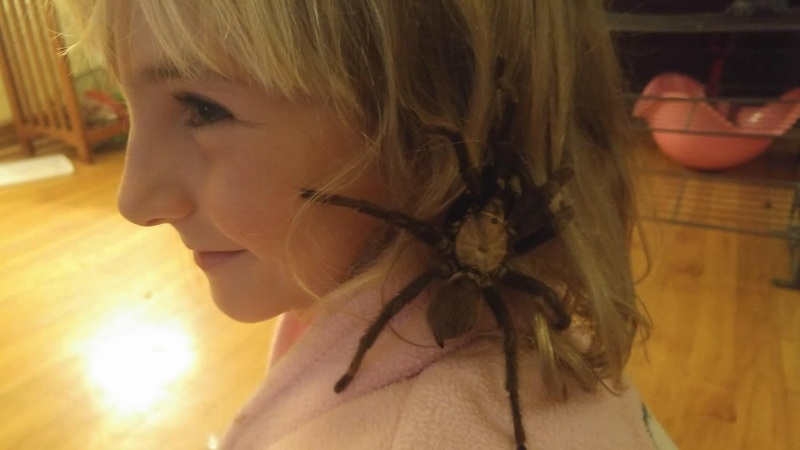 She keeps a couple of pet tarantulas at home, caring for them judiciously such that they are comfortable and healthy, and handled only occasionally. 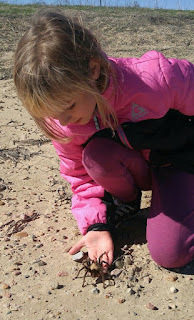 In fact, she wants people to know that "I have a caring for bugs. When they are hurt I care of them well until they are healed. 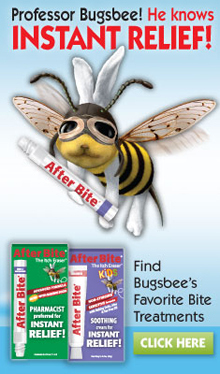 I am a bug doctor and try to help when I can." Her favorite non-spider arthropod is the "rainbow stag beetle." 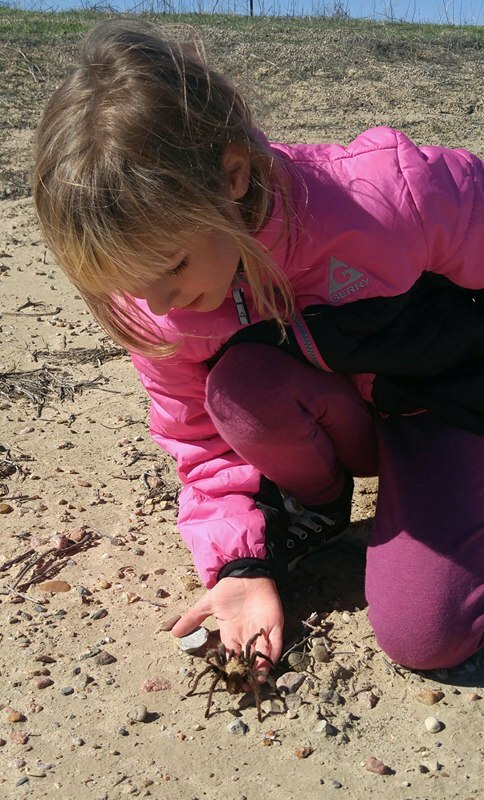 She considers her greatest accomplishment so far to be assisting her father in a search for wild tarantulas in southeast Colorado. She met Dr. Paula Cushing, one of the premier professional arachnologists in the world, when she accompanied Ryan to volunteer at the twentieth International Congress of Arachnology that was held in Golden, Colorado in 2016. Dr. Cushing is a tough act to follow, but at least I could provide Abigail with a signed copy of my field guide. During the course of our Mile High Bug Club meeting I made a presentation entitled "Wasp/Not Wasp," an interactive PowerPoint in which the audience is invited to determine which of two images depicts a wasp. Most slides were of a wasp and a complimentary "mimic" like a fly or a moth, but some displayed two wasps, or two mimics. Abigail participated with great enthusiasm, and was often correct in her answers. After listening to me explain the "nth" example of some wasp or mimic that preys on spiders, she asked why it is that there are so many insects that kill her beloved spiders. I can totally empathize. I often ask that about crocodiles and mantids that are shown over-and-over in the media eating some animal I like a lot more. Anyway, I did my best to explain that every species has its role in the biosphere and we have to respect that even if we don't like it. "Like ecology?" she asked. All of us older people were dumbstruck because we were at least teenagers before we learned that word. "Yes," I replied after regaining my faculties, "that's the framework that everything fits in. Yes." Abigail's slightly older sister Amelia is an accomplished gymnast, but is also interested in natural history. Trips to far-flung gymnastic meets allow the whole family to explore new cities and have travel adventures along the way. They recently returned from Santa Fe, New Mexico, in fact. It has been awhile since I have either made myself available to mentor students and children, or been afforded the opportunity, and I am grateful to the MHBC for providing a way to do that. We have other young people participating in club events, and I hope that continues to expand. I urge my readers to seek out organizations, events, and other avenues through which they can be mentors as well, whether in entomology or any other career or recreational pursuit. We need to repair trust to where it was when we were growing up. We are the village now, but we have to prove ourselves as responsible adults who truly have the interests of children and their families at heart. Thank you, Abigail, for helping restore my faith in our next generation of human beings, regardless of whatever they become professionally when they "grow up." You already have a mature sense of self-confidence, and social skills I wish I had myself at your age. Look, I know that the curators at the Denver Museum of Nature and Science are genuinely appreciative of the donation of my insect collection. 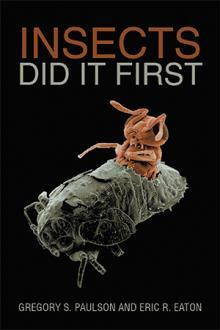 I am reasonably certain most professional entomologists also applaud my gift to the scientific community. Unfortunately, Uncle Sam could pretty much care less, thanks to changes in the tax laws, and that fact has me incensed. I am a writer, and make an income that barely exceeds the poverty line most years. So, my wife and I file a joint income tax return. We have never itemized, as the Standard Deduction exceeds what we spend in charitable donations. Meanwhile, if you itemize your deductions, you can exceed the Standard Deduction, but only to a certain point (half of your Adjusted Gross Income, I believe). The hardware alone in which my collection was stored, amounts to more than $13,000. 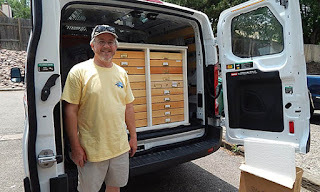 This covers three storage cabinets, the 116 drawers in those cabinets and beyond, the "unit trays" inside the drawers that keep specimens organized, and the pins on which the insects are mounted. I am not even including the fifteen Schmitt boxes I used for temporary storage, which conservatively totals $450. Claiming a charitable donation of over $5,000 in this case requires an independent appraisal of the collection, and here is where I have to admit mea culpa. 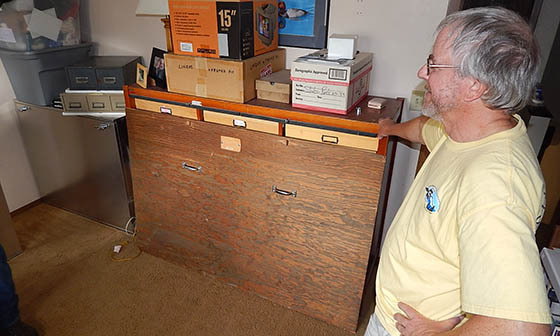 In my defense, the collection was in a spare bedroom surrounded by many other items, making it a real challenge for me to get to it, let alone an appraiser. Also, appraisers charge for their services, and I have not had a lot of money to spare for that kind of expense. It could still be done, at the museum, but because of tax changes on the horizon, it is becoming apparent that the exercise would likely be one of futility. Oh, obviously, doing the math, a $5,000 deduction is less than the Standard Deduction, so it is not an option to do this incrementally starting with our 2017 return. I was informed by a former tax preparer that beginning in 2018, the Standard Deduction for married couples filing jointly will nearly double to $24,000, though we will all lose our individual exemptions, so not as rosy as it seems. 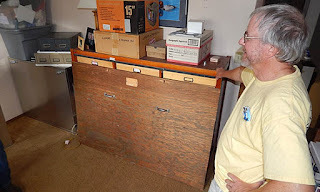 So, while an appraiser may or may not value my collection over that amount, would it be worth the cost of the appraisal to bother finding out? Not likely. Part of the problem is that the IRS (Internal Revenue Service) uses only FMV (Fair Market Value) to assign value to donations. As you can imagine, animal specimens do not rank highly in that regard because so few species are in high demand in the marketplace. Yes, there is a flourishing consumer trade in preserved insect specimens, usually obtained through dealers, and mostly limited to tropical species from rainforests around the globe. Specimens like mine from temperate regions are rarely as glamorous in appearance, not nearly as large in size, and therefore not valued as much as gaudy "oh, my!" species. 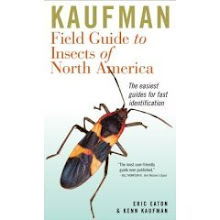 There is no catalog that covers all insect species with corresponding price tags. Appraisers are then left to add value based on the physical condition of the specimen, whether it has valuable data denoting exactly where and when the specimen was collected, and by whom. 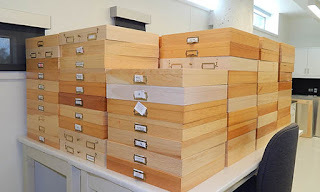 If the specimen has been identified to species by a recognized authority, then that also adds a bit more value. It is still subjective in the eyes of IRS accountants, and even an exhaustive appraisal is no guarantee your deduction won't trigger an audit. So, here's the thing. I don't want another invitation to a dinner reception for donors to the museum. The pretentiousness of such events I abhor. I also don't want pity for how this has unfolded so tragically for me in the financial sense, though at this point I truly believe I would have benefited more by insuring my collection and then setting it on fire. I want you to be angry, angry at where our society is placing its monetary values. The only thing I am even half good at is writing, and that sure as hell has no value either, except in advertising and fiction. Rob Dunn grabs your attention right out of the gate in his book Never Out of Season (Little, Brown and Company, 2017, 323 pp). Our monotonous diet, and utter lack of crop diversity is not just stunning, it is frightening. 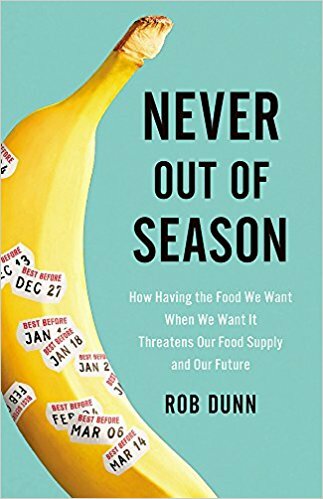 The book's subtitle, How Having the Food We Want When We Want It Threatens Our Food Supply and Our Future, is a bit misleading. First, that applies mostly to Western cultures which are affluent enough to import fruits and vegetables from other parts of the world, continually. To his credit, Dunn addresses global agriculture and food security, going out of his way not to ignore Third World nations, poverty, war, and other factors that influence the ability of countries to feed themselves, let alone the rest of the world. Indeed, Dunn's historical accounts demonstrate how time and time again human populations has been on the brink of starvation, yet are bailed out by individuals and organizations on the far side of the globe. It has been Russians and others who have had the foresight to save seeds in banks and vaults, preserving crop diversity even at their own personal peril. Meanwhile, governments and industries have blissfully ignored the lessons furnished by famines and crop failures. Never Out of Season is in many ways a real-life thriller, but the reader is largely left to draw their own conclusions as to who the villains are. There are plenty of victims and heroes, but aside from a small group of henchmen who sabotaged a cocoa tree plantation by deliberately infecting trees with a fungal disease known as witches'- broom, few criminals. At least, they do not have overtly hostile intentions. The problem is, overwhelmingly, neglect, plus failure to learn from history and failure to properly invest in efforts necessary to avert future calamities. The progress of the Green Revolution creates the narrative arc, from its beginnings around World War II through present day. Humanity quickly became dependent on pesticides, fertilizers, and other chemicals to increase crop yields and exploit marginal soils. From there, agriculture scaled up, and today it is largely the province of multinational corporations with a primary agenda of profit and patent protection over feeding people. Consumers are left with increasingly processed foods in the supermarket, the illusion of choice, poorer nutrition, and a widening disconnect with farmers. Dunn is less simple and direct in his presentation of the state of agriculture, and how we got here, but is captivating, entertaining, and educational in his language. His research is exhaustive and beyond reproach. The end notes take up forty-six (46) pages. Readers looking for an unequivocal indictment of industrialized agriculture will have to search elsewhere. 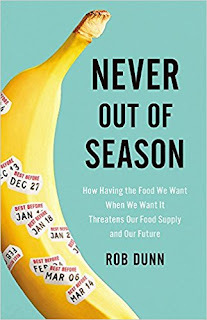 Never Out of Season presents a series of cautionary tales that inform, enlighten, and serve as examples of the kinds of catastrophes we are in for if we continue to devalue genetic diversity in our food crops. Genetically Modified Organisms (GMOs) are not painted as evil here, but powerful tools that can help advance agriculture provided we do not become as addicted to them as we did to pesticides, herbicides, fungicides, and phosphate fertilizers. 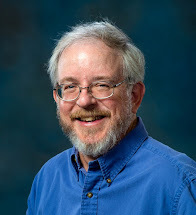 Dunn also offers hope at the end of the book, successfully energizing and empowering the reader to plant their own yards with vegetables and fruit trees, join in citizen science projects to enhance our collective understanding of agricultural ecology, and to purchase from local farmers those foods they cannot grow. The variety of approaches to agriculture is beginning to diversify, which is a positive trend, but it remains to be seen whether agri-business will respond favorably, or seek to bury smaller entities under patent-infringement lawsuits and other legal strategies. Paul Ehrlich, in his own endorsement, states that "Everyone who eats should read Never Out of Season. This reviewer could not agree more. Even fans of fiction would be hard-pressed to find a more compelling page-turner replete with colorful and heroic characters, and an ending that only we, the reader, can finish by holding our leaders accountable for funding priorities, environmental regulation, making conservation of heritage seeds an overriding concern, and bolstering consumer protections. We can also shop smarter and grow our own.